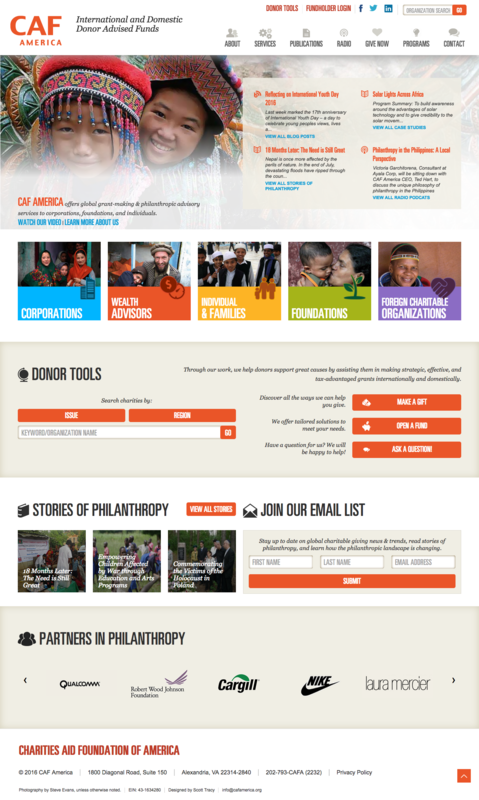 Charities Aid Foundation of America (CAF America) is an independent, public charity whose mission is to increase the flow of charitable funds outside the United States. 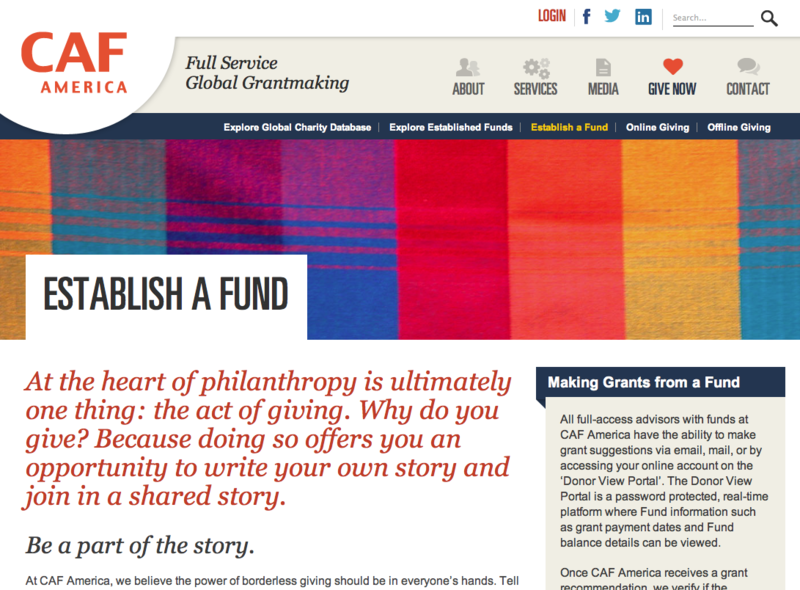 As part of CAF America’s re-brand, their website was redesigned from the ground up. 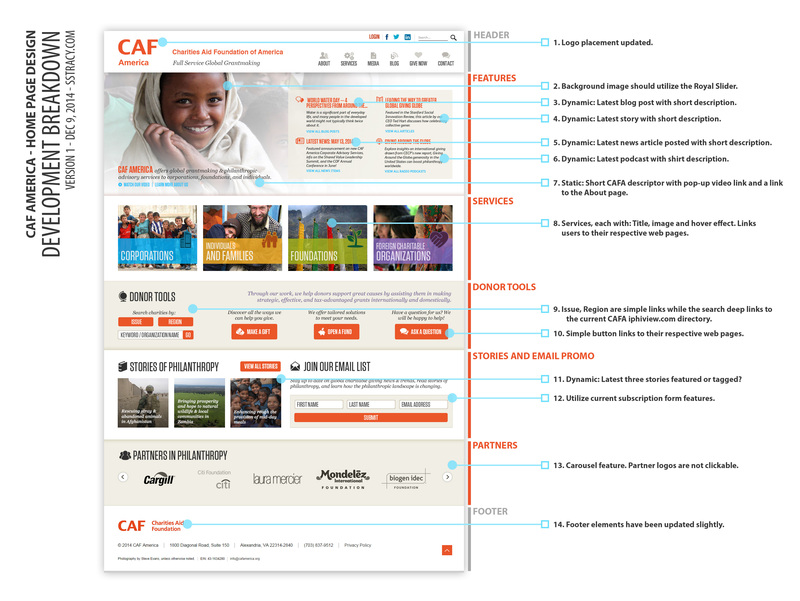 Utilizing Wordpress and a fully customized, responsive template, CAF America continues to grow and promote new charity opportunities worldwide. 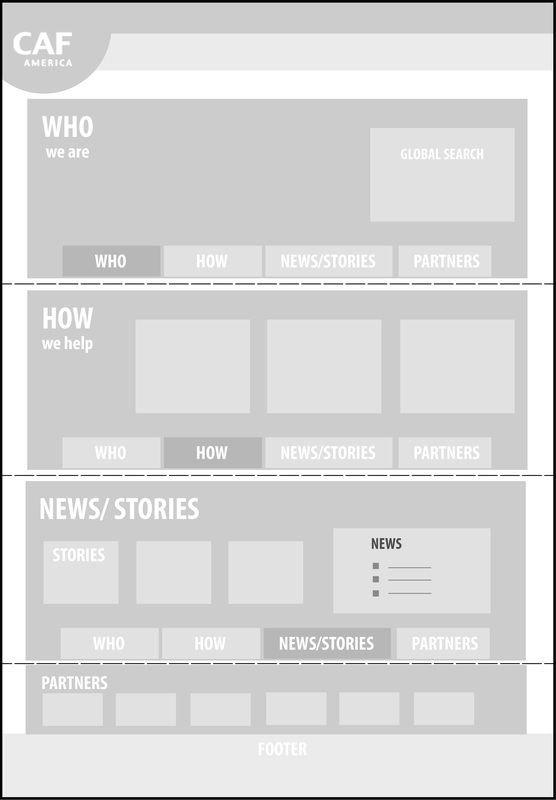 I later came back to this project in 2014 to refresh the homepage design to what you see now. An additional working prototype example was created before the company’s internal development team took it over. You can find the prototype here.